Who says romance is dead? 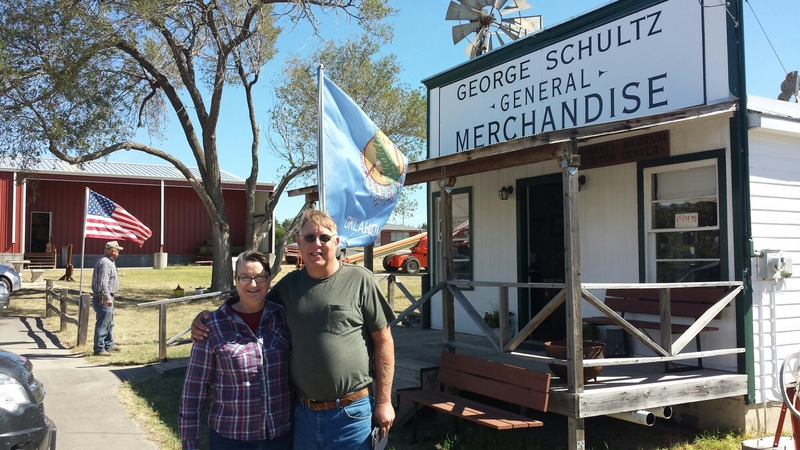 Today we celebrated our thirty-third wedding anniversary in Shattuck, Oklahoma, at the windmill museum and park. Shattuck? Romantic? 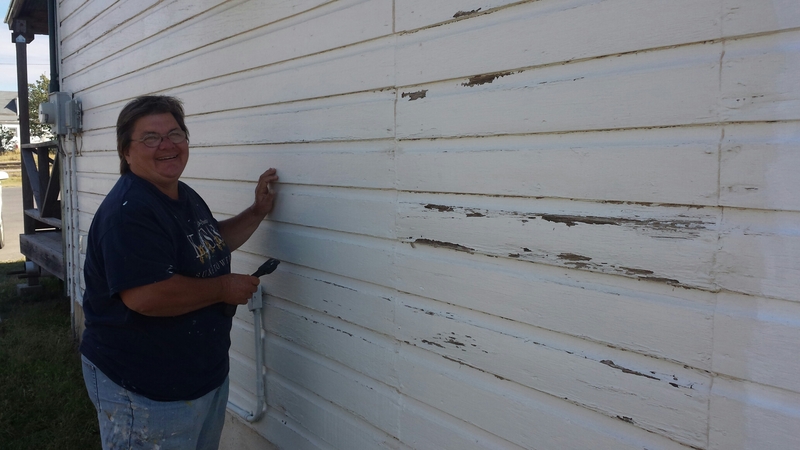 Maybe not, but it so happens that our anniversary nearly always falls during the annual volunteer work week at the park. 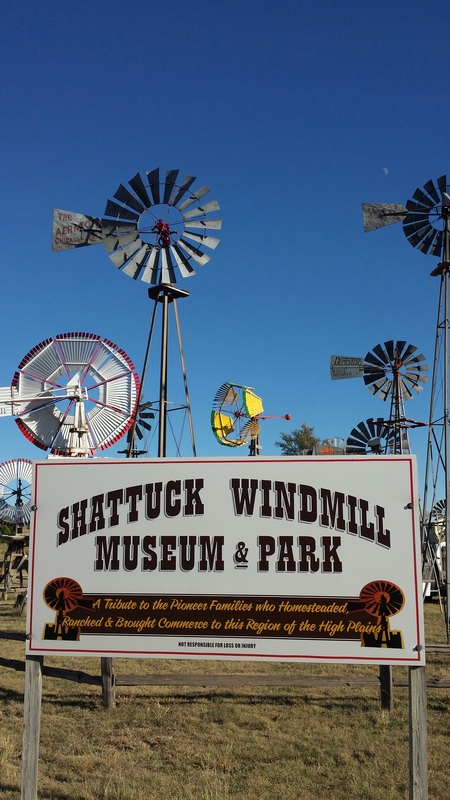 We meet there each autumn to service and repair Shattuck’s salute to America’s original green energy–the water pumping windmills. 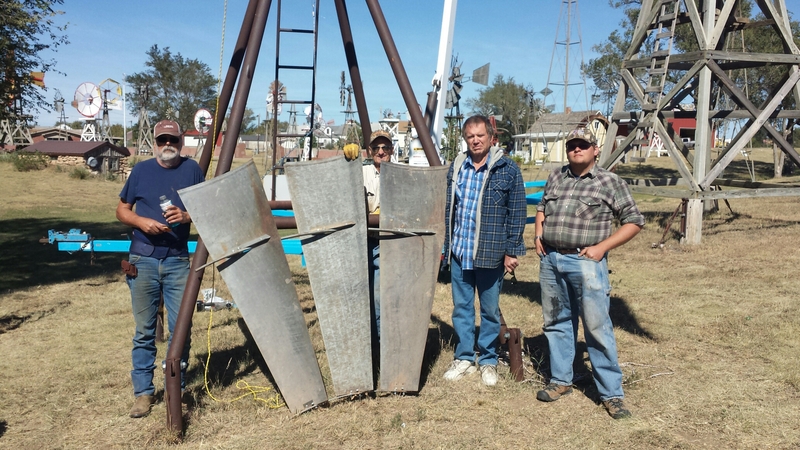 Several designs of windmills have provided water for American families, farms and ranches for over 100 years. People from several states all gather in Shattuck for this volunteer work. By working together for several years we’ve become like an extended family. 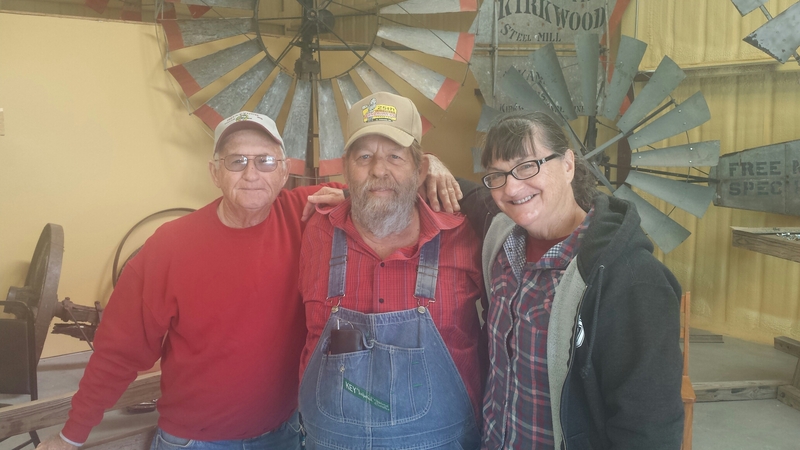 This camaraderie and a common goal of saving the antique windmills is what spurs Kevin and me to show up each fall–even when it means sharing our anniversary with other windmillers. Here I am with Johnny from Missouri and “Uncle” Paul from Texas. Many of us have dubbed him uncle for his expertise and advice. 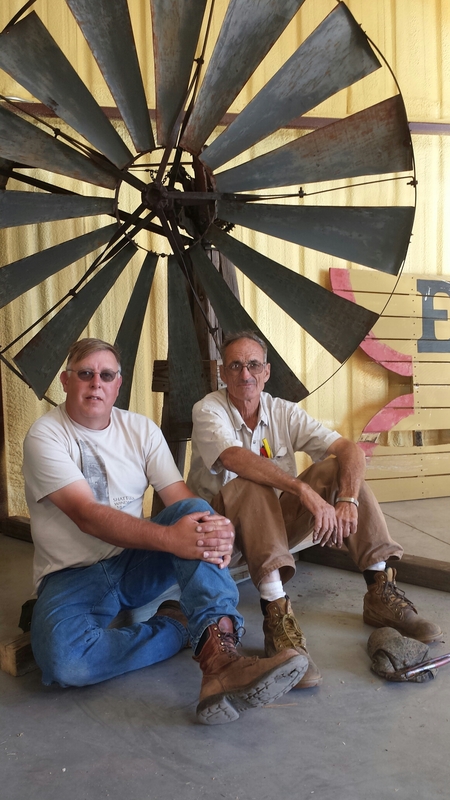 Kevin (we’re from Northern California) and Vernon from Oklahoma worked together on several windmills this week. We have more volunteers from other states. I’ll feature their photos in later posts. Come on by the Shattuck Windmill Museum & Park. It may not be romantic to you unless you’re a history buff in love with the old west. And to top off the evening, Marie, we watched the ultimate romantic adventure movie, The African Queen. What could be more romantic than windmills and The African Queen!? Congratulations on your 33 years together and all that is to come. Thank you, Arletta! See you soon. Fun times with a partner like Kevin who shares this interest. Who’s to say Shattuck isn’t romantic? Happy 33rd!